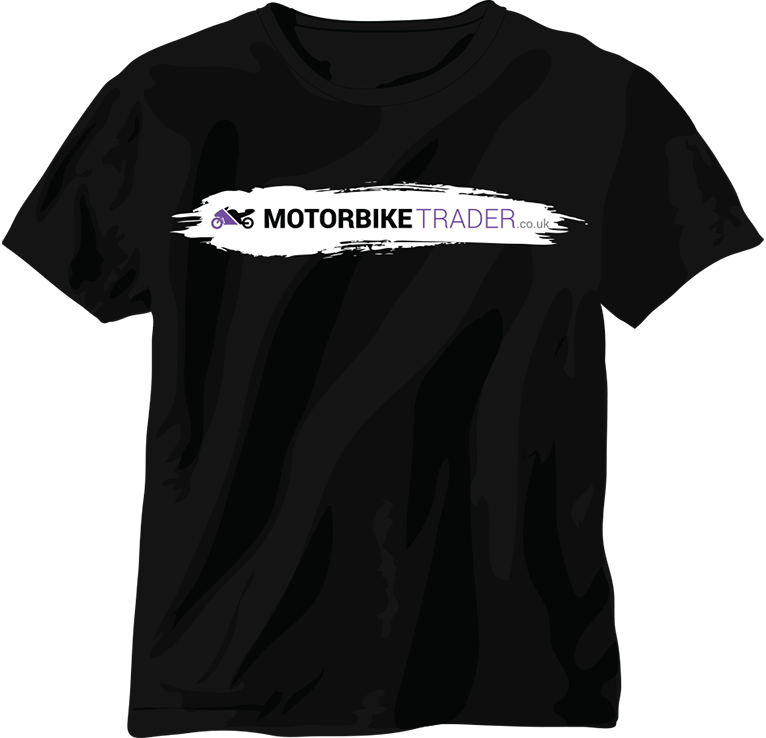 Branding, Web Creation and Marketing for MotorbikeTrader.co.uk, one of the leading online bike dealers in the UK. 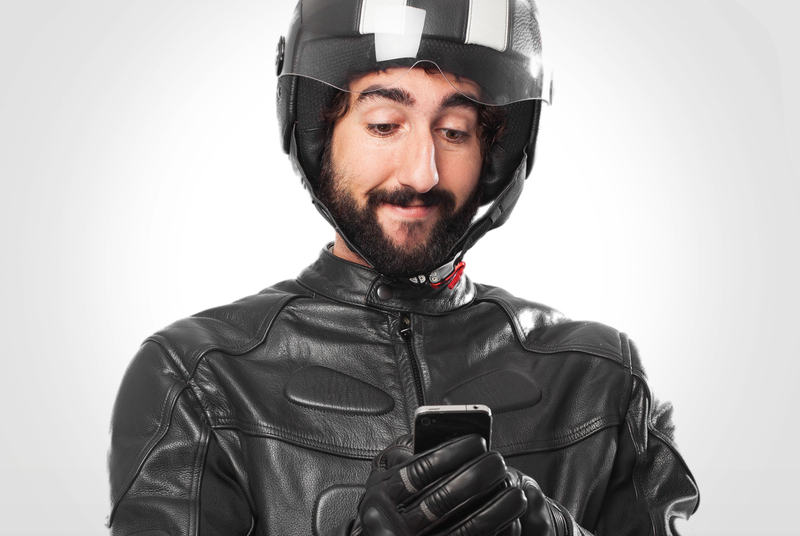 To stand out in the market the biker character ‘Dave’ was created for the brand to engage with customers in a fun and different way. 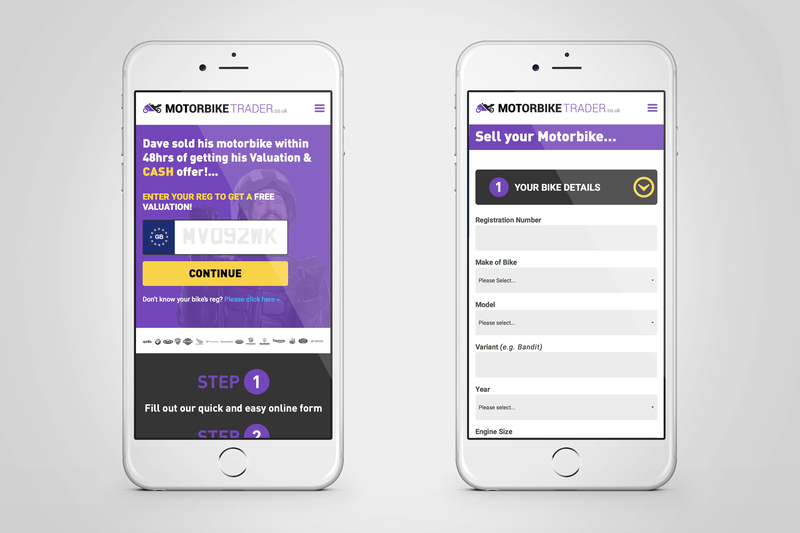 The website enables users to sell their bikes for cash quickly and easily. 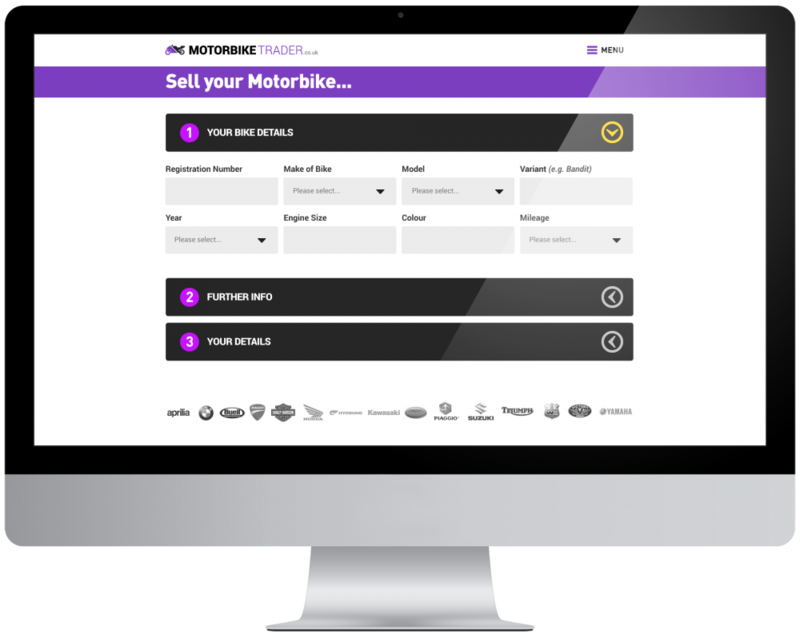 To make the process easy for customers a one page form was used. Each section is collapsable so there are no page reloading times. Marketing products includes clothing, vehicle livery and roadside banners. Mobile responsive email creative, coded for a MailChimp marketing campaign.